We live in a volatile, uncertain, complex, and ambiguous world, characterized by unprecedented change. There’s increasing demand for leaders to do more and be more, and it’s time for them to evolve and adapt. To discover the path that evolution should take, we interviewed 9 leaders in multiple industries from across the globe about their approach to our rapidly changing world. From these conversations, we’ve gathered key insights about what it takes to grow and be successful in a volatile environment. Learn about the three leadership traits—adaptive, resilient, and transformative—that will enable you to meet the demands of a changing world and thrive, no matter what the future holds. Discover where your natural strengths lie through our interactive quiz and learn from others how to embody all three traits. Yvette is an experienced and engaging speaker, unique in her ability to transport audiences into the future. 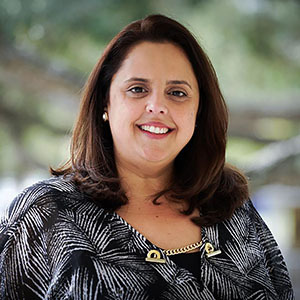 With a bachelor’s in Finance and a MBA from the University of Florida, Yvette has over 15 years of corporate experience with large, multi-national firms like Kimberly- Clark and The Walt Disney Company. At Disney, Yvette led the effort to establish Future Workforce Insights, which leveraged foresight techniques to identify future workforce trends and assess potential threats, impacts, emerging ideas and opportunities. As co-founder of The Futures School, a multi-disciplinary Strategic Foresight training program, Yvette has built a network of foresight campuses across five continents, including North America, Europe, Africa, Asia and Latin America. More than 500 global citizens have joined The Futures School movement to embody a futures-thinking mindset. Yvette is also a partner at Kedge — a strategic design, foresight and innovation firm — where she utilizes extensive research and customized toolkits to service a diverse global client base.